Emil Blonsky:"Is that it? Is that all you got?" Bruce Banner:"You know, I know a few techniques that could help you manage that anger very effectively." Bruce Banner:"You don't understand! Something really bad is about to happen here!" Betty Ross:"It is a long way uptown. I think the subway is probably quickest." Bruce Banner:"Me in a metal tube, deep underground with hundreds of people in the most aggressive city in the world?" Betty Ross:"Right. Let's get a cab." Samuel Sterns:"I didn't say I was unwilling. I just need informed consent." Bruce Banner:"I can't get too excited." Betty Ross:"Not even a little excited?" Abomination:"Give me a real fight!" Bruce Banner:"Basically, we can't use any of this because they can track all of it." Betty Ross:"Well my lip gloss, can they track that?" Bruce Banner:"No. You can take your lip gloss." Abomination:"Is that all you've got?!" Samuel Sterns:"That was the most extraordinary thing I have seen in my entire life!" 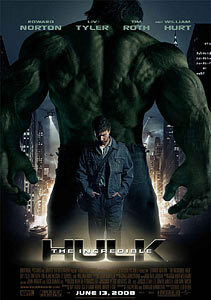 Bruce Banner:"There are aspects of my personality that I can't control." Bruce Banner:"It's a little bit more complicated then that." Leonard:"Bruce, trust me when I tell ya I've heard them all." Abomination:"You don't deserve this power!" The Incredible Hulk roaring after killing Abomination. General Ross:"If you took it from me, I'm going to put you in a hole for the rest of your life." Samuel Sterns:"Why are you always hitting people?"